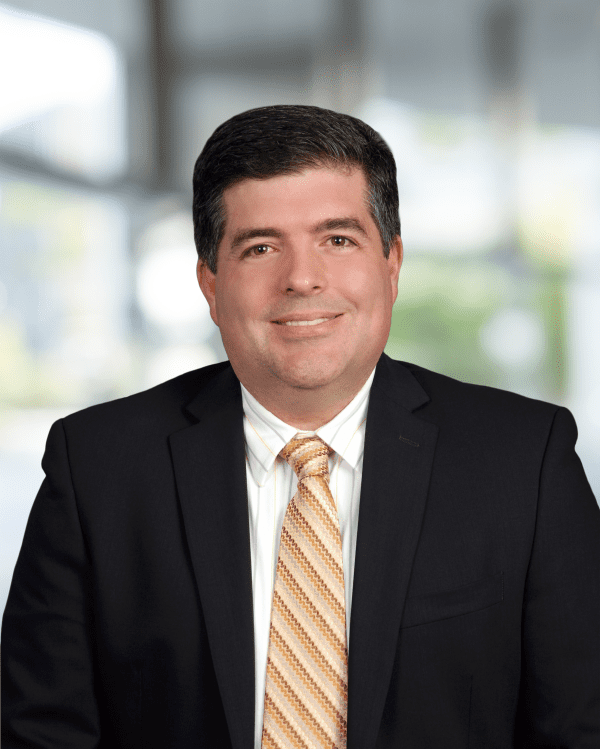 Dr. Love leads Roux’s Litigation Practice Group and provides forensic litigation support and expert witness services to clients throughout the United States on both environmental litigation and environmental insurance coverage related matters. Dr. Love’s experience includes strategic and technical analysis and guidance regarding numerous complex groundwater, soil, sediment, soil vapor and air contaminated sites. He has also provided expert technical guidance for state legislative actions and federal advisory panels on a range of traditional and non-traditional environmental hazards. Dr. Love’s expertise has been developed through a unique variety of University, Federal and post-academia work, including developing leading-edge methods for addressing forensic questions related to weapons of mass destruction for the Federal Government. Passaic River (Diamond Alkali) Superfund Site, NJ: Expert Witness. Evaluated available historical data, performed fate and transport analyses, and developed a detailed understanding of facility operations to support the facility designation of de minimis status. Battery Recycling Facility, CA: Expert Witness. Evaluated available historical emissions/capacity data, performed fate and transport analyses, and assessed the extent and magnitude of lead and other heavy metals contamination in soils surrounding the Exide Technologies lead battery recycling facility. Worked together with lead regulatory agency to develop interior/exterior assessment and remediation protocols. Analyzed reported results of community blood lead data. Used Oil System Collection and Recycling, CA: Expert Witness. Developed a report for the State of California on how to improve the state’s used oil recycling program. Provided testimony to CA State legislature on proposed used oil recycling incentive bills. Key technical contributor to stakeholder discussion on ongoing CalRecycle efforts for additional used oil recycling improvement. Radionuclide-containing Products Manufacturing, PA: Expert Witness. Evaluated available historical data, performed fate and transport analyses, and developed a detailed understanding of facility operations at the Safety Light Superfund Site that provided the technical basis for recommendations to DOJ on a feasible strategy for and potential allocation of arranger liability. Site contaminated with numerous radionuclides (tritium [H-3], strontium [Sr-90], cesium [Cs-137], and radium [Ra-226]). Atrazine, Numerous locations in USA: Provided expert litigation support regarding the fate and transport of atrazine, timing of release, and potential impacts to drinking water sources. Former Military Facility, CA: Performed site investigation and remediation of soil and groundwater at a former military site to determine the extent and magnitude of historical solvents and petroleum releases to inform remedial strategy. Power Authority of the State of New York v. The tug M/V ELLEN S. BOUCHARD, et al. United States District Court, Southern District of New York. Case No. 14-cv-4462 (PAC). Expert Report. Crown Central, LLC v. Petroleum Marketing Investment Group, LLC, et al. Circuit Court for Baltimore County, Maryland. Case No. 03-C-16-010774 CN. Deposition December 19, 2017. Expert Declaration. Rebuttal Declaration. Sunflower Redevelopment, LLC v. Illinois Union Insurance Company. United States District Court, Western District of Missouri, Western Division. Case No. 4:15-cv-00577-DGK. Deposition November 10, 2017. Rebuttal Report. Supplemental Report. Gary Puhr v. PQ Corporation. United States District Court, Northern District of Illinois, Eastern Division. Case No. 16-CV-00728. Expert Report. Estate of Robert Renzel, Deceased et al. v. estate of Lupe Ventura, Deceased, et al. United States District Court, Northern District of California. Case No. 4:15-cv-1648-HSG. Expert Declaration. Insurance Company of the State of Pennsylvania v. County of San Bernardino. United States District Court, Central District of California. Case No. 5:16-cv-00128-PSG-SS. Deposition. Lennar Mare Island, LLC v. Steadfast Insurance Company. United States District Court, Eastern District of California, Sacramento Division. Case No. 2:12-cv-02182-KJM-KJN. Case No.2:16-cv-00291-KJM-CKD860. Deposition May 26, 2017. Expert Report. Supplemental Report. Hanford Challenge, et al., v. Ernest Moniz, et al. United States District Court, Eastern District of Washington. Case No. 4:15-CV-05086-TOR. Expert Declaration. Supplemental Expert Declaration. K.C. Jones Plating Company, et al., v. Admiral Insurance Company. United States District Court, Eastern District of Michigan, Southern Division. Case No. 2:16-cv-10790-DML-MKM. Expert Report. 860 Kaiser, LLC v. Green’s Cleaners, Inc., Napa County Superior Court. Case No: 26-63995. Deposition January 11, 2016, September 12, 2016. September 26, 2016. Expert Declaration. Lewis v. Russell, United States District Court, Eastern District of California. Case No. CIV. S-03-02646 WBS AC. Deposition July 20, 2016. Expert Report. Rebuttal Report. Supplemental Report. Goldberg v. Goss-Jewett Company, Inc., et al., United States District Court, Central District of California. Case No. EDCV14-01872 DSF (AFMx). Deposition May 25, 2016. Expert Report. Rebuttal Report. 937 York Road, LLC, et al. v. Petroleum Marketing Group, Inc., et al., Circuit Court for Baltimore County, Maryland. Case No. 03-C-14-005988. Expert Declaration. State of Colorado, et al., v. Valero Energy Corporation, et al., District Court, City and County of Denver, Colorado. Expert Report. Rebuttal Report. Union Oil Consolidated Coverage Cases, Los Angeles Superior Court. Case No: BC 271474. Deposition November 20, 2014. Expert Report. Searles Valley Minerals Operations Inc. v. Advanced Steel Recovery Inc., et al., California Ninth District. Central District Court. 5:2010cv01403. Deposition January 25, 2012. Expert Report. Rebuttal Report.